Obituary for Barbara L (Rembisiewski) Stromski | Boucher Funeral Home, Inc.
Barbara L. (Rembisiewski) Stromski, 84, of Gardner died peacefully Sunday, August 19, 2018 in her home surrounded by family, following an illness. Born in Gardner on December 13, 1933, she was the daughter of the late William and Alice (Bazydlo) Rembisiewski. Barbara graduated from Gardner High School with the Class of 1951. She attended Fisher Jr. College in Boston and received an Associates Degree as a Legal Secretary in 1953. Barbara was a member of the former St. Joseph’s Church of Gardner. She was a devoted and loving wife, mother and grandmother who spent her life caring for her family. Barbara was also a volunteer at the Gardner Museum and Heywood Hospital, and she served as a hospice volunteer for the Gardner Visiting Nurses. 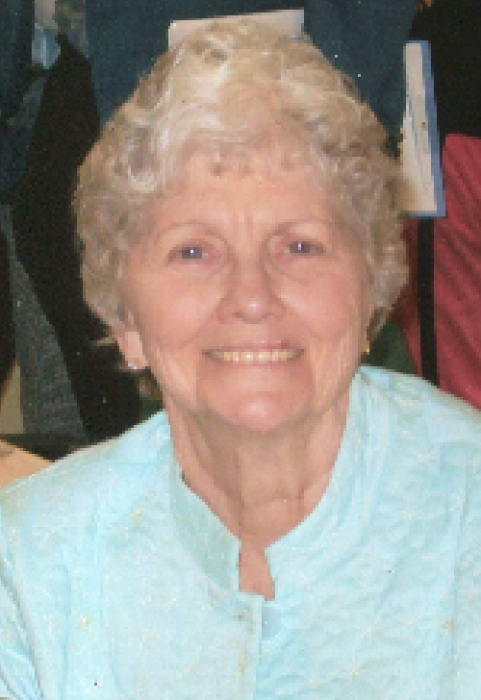 Barbara enjoyed bridge, crossword puzzles and music. She also enjoyed knitting, reading and meeting friends for lunch. She was a health and fitness enthusiast who was a proud member of Fitness Concepts of Gardner. However, Barbara’s greatest joy was spending time with her family whom she loved dearly. Barbara was predeceased by her husband of 56 years, Edward I. Stromski, who died November 23, 2011. She leaves two sons, Dr. Michael E. Stromski and his wife Susan of Melrose, and John W. Stromski and his wife Kelli of Wakefield; a daughter, Judith A. Orcutt and her husband Caleb of Virginia Beach, VA; eleven grandchildren, John Caleb, Christian, Samuel, Daniel, Rachel, Joseph and Benjamin Orcutt, Matthew, Steven, Liam and Jack Stromski; two great-grandchildren; several nieces, nephews and cousins. Barbara was predeceased by her brother, William Rembisiewski. According to her wishes, her body has been donated to science at the University of Massachusetts Medical School of Worcester. A Memorial Service will be held Sunday, September 2nd at 2:00 p.m. in Holy Spirit Church, 50 Lovewell Street, Gardner. Burial will be in the Massachusetts Veterans Memorial Cemetery, Winchendon at a later date. Calling hours will be held Saturday, September 1st from 3:00 p.m. to 5:00 p.m. in the Boucher Funeral Home, Inc., 110 Nichols Street, Gardner. Memorial contributions may be made to Heywood Healthcare, Philanthropy Office, 242 Green Street, Gardner, MA 01440. Please reference Edward I. Stromski Oncology Unit, in memory of Barbara L. Stromski.